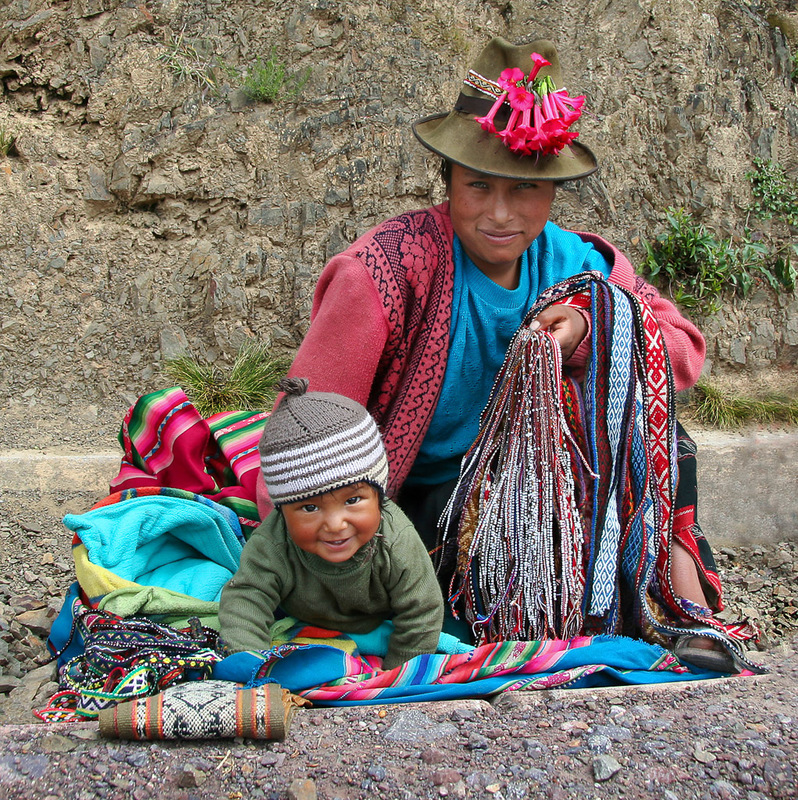 A compelling sales assistant whose Mom sells local handcrafts to tourists. 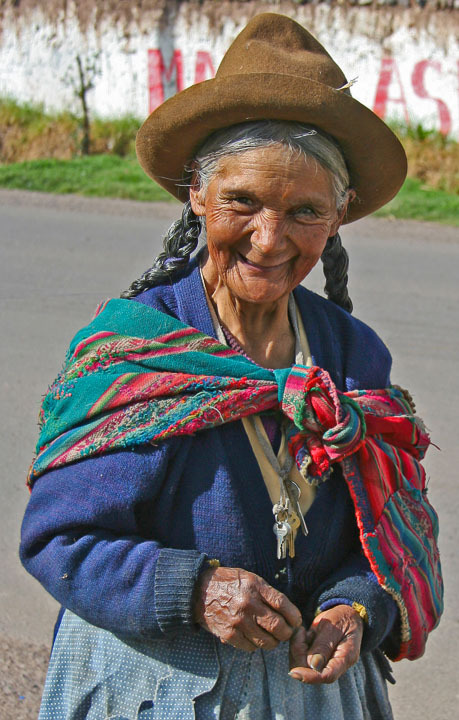 An old woman happily greets both us and the day early in the morning in Yucay. 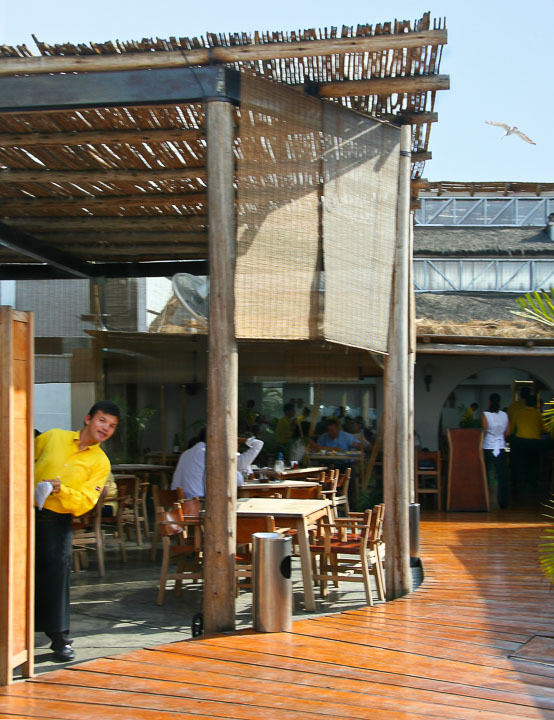 It's the specialty of the house at this popular Lima seafood restaurant. 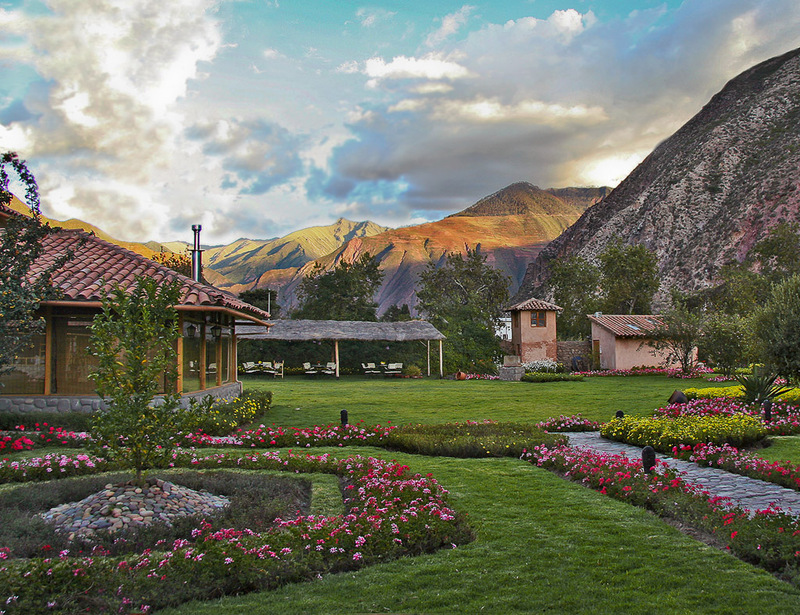 The beautiful gardens of our hotel in the small village of Yucay. 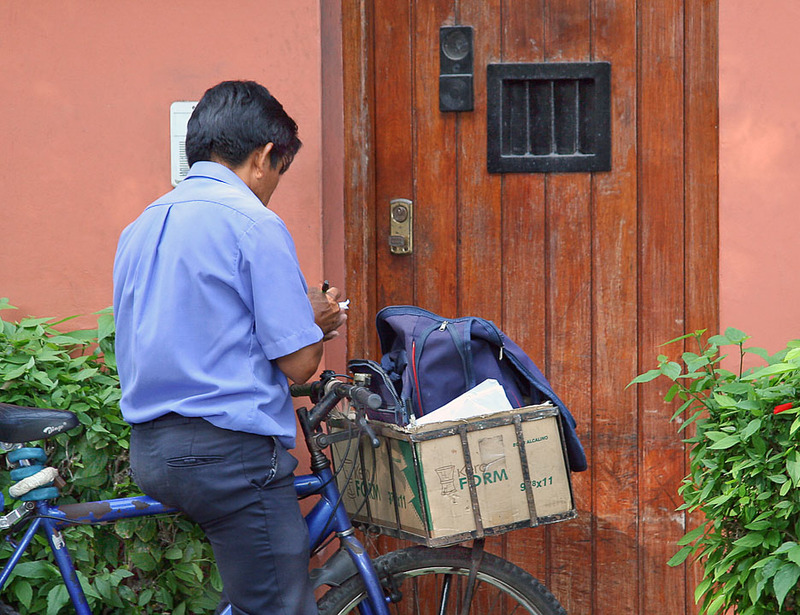 The mailman delivers the mail by bicycle in the city of Lima. 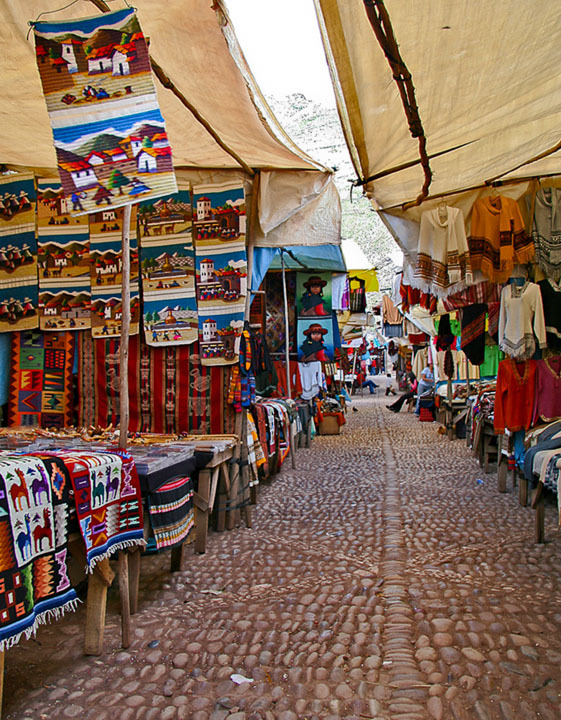 The market is desolate until the next tourist bus arrives. 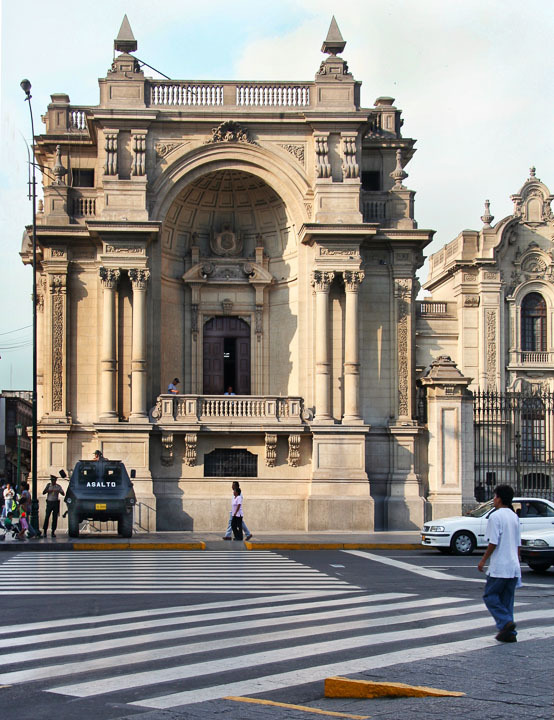 The police are a very visable presence in Lima and other Peruvian cities. 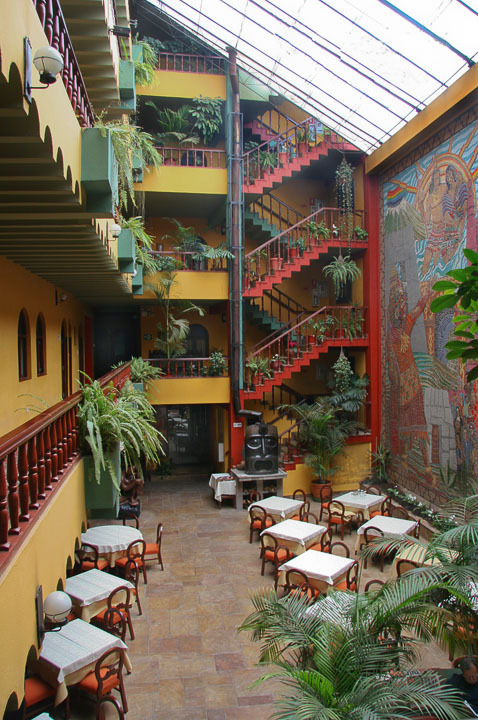 The colorful dining area of the Royal Inka hotel in Cuzco. 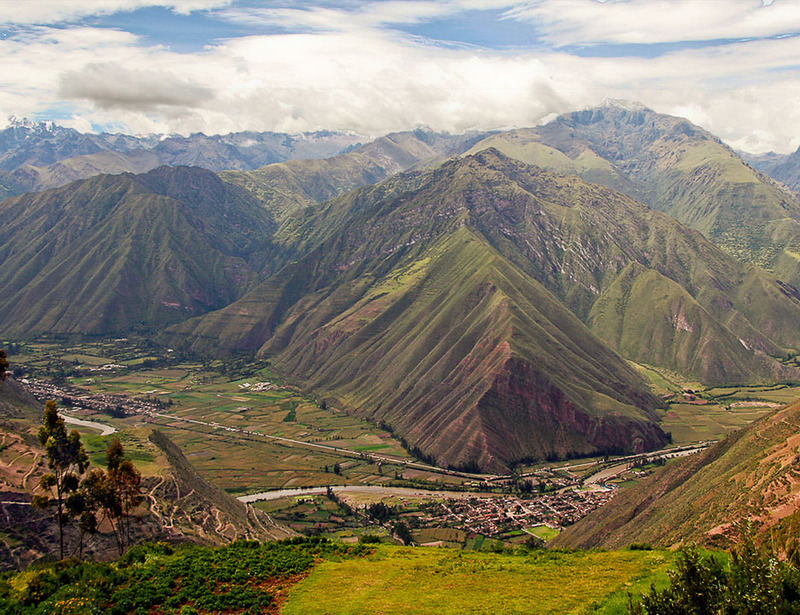 The town is nestled in a valley surrounded by majestic mountains. 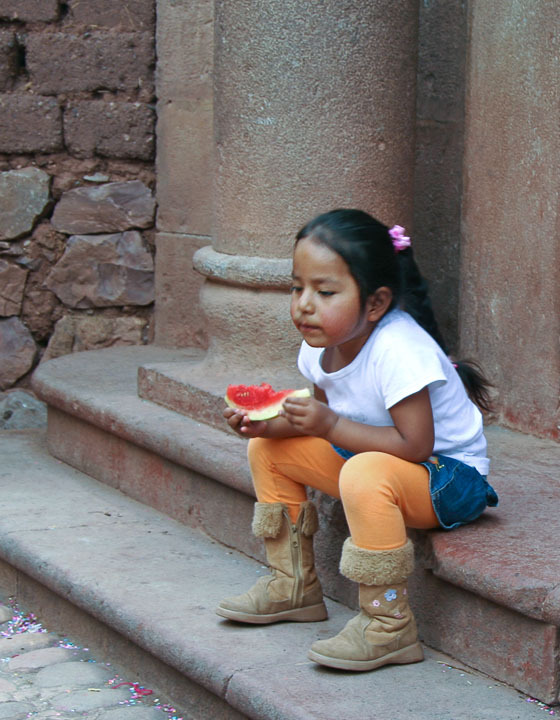 She's deep in thought while eating watermelon in the village of Yucay. 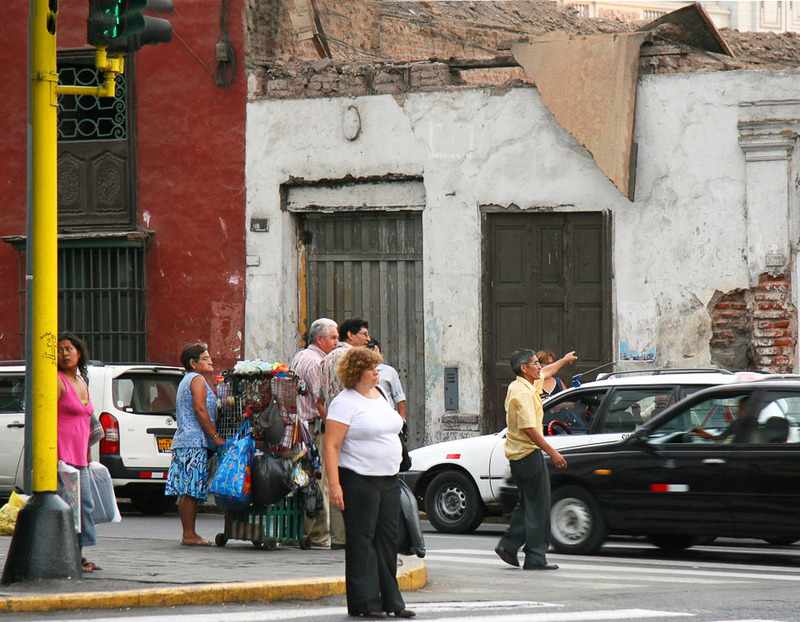 People seen going about their daily business in Lima. 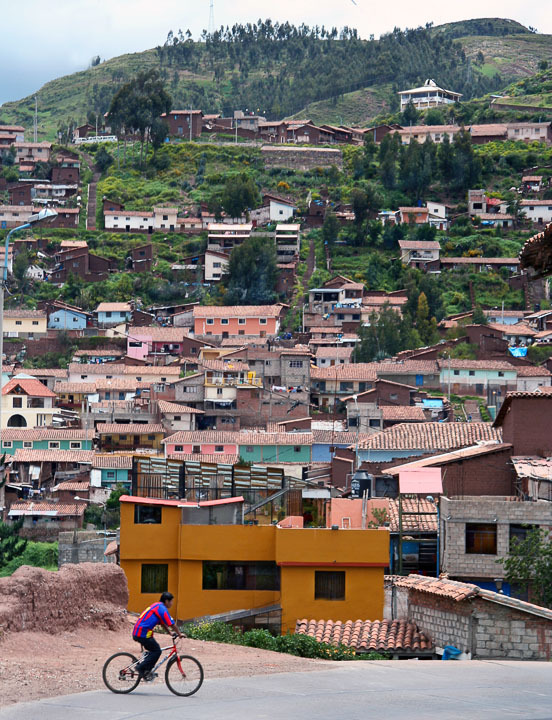 Bicycles seem to be Peru's most utilized form of transportation. 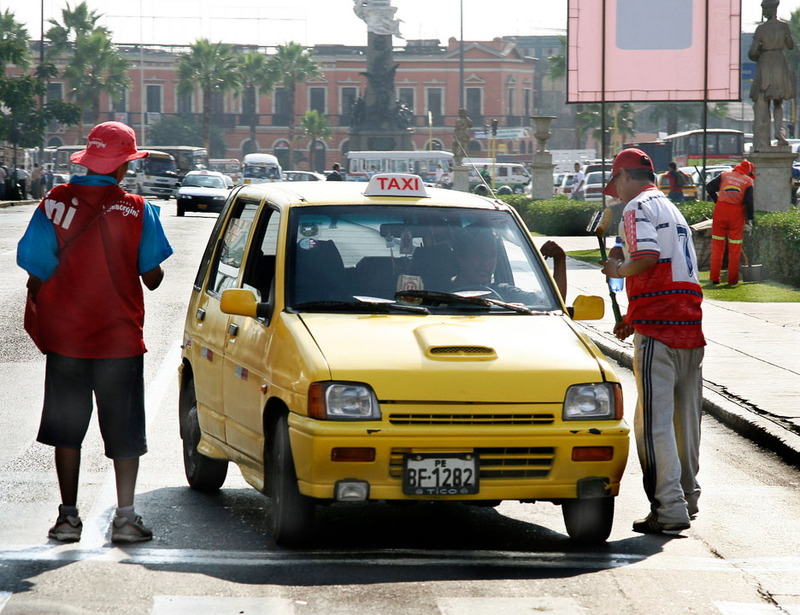 At every stop there is someone offering to wash your windows in Lima. 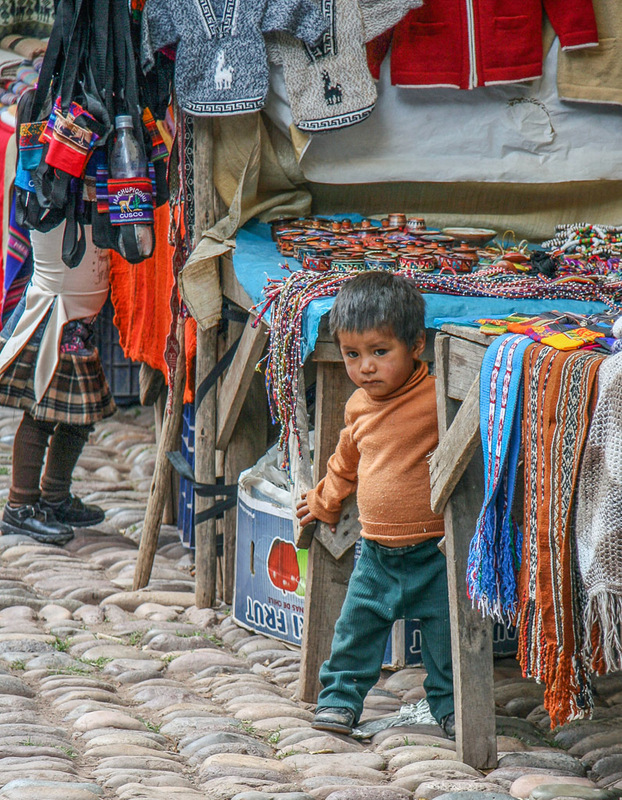 This sculpture in the seaside Lover's Park attracts lovers of all ages. 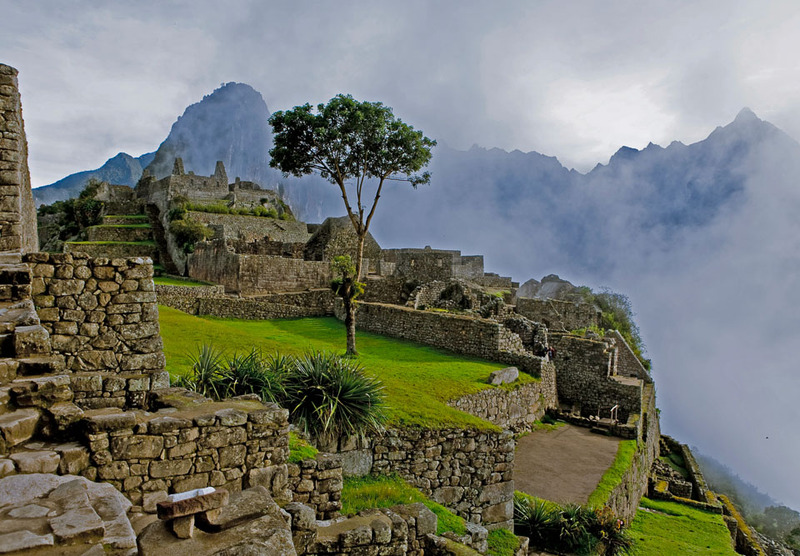 The mist begins to clear just after sunrise in one of the wonders of the world. 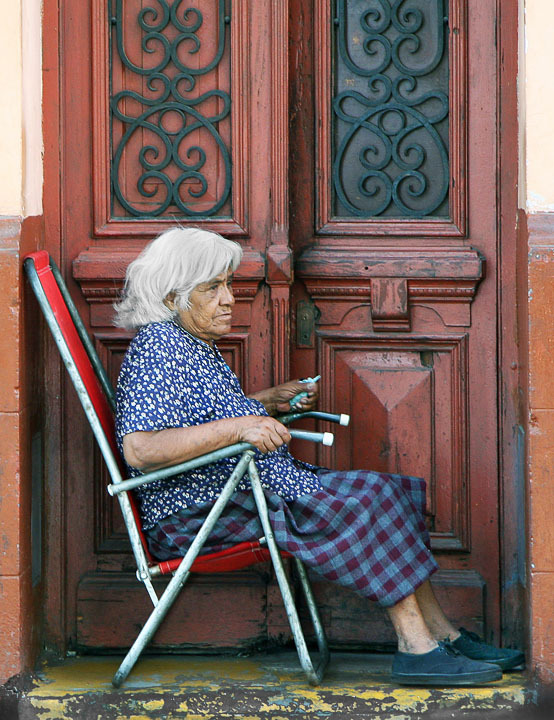 This old woman spends the day by her door watching the passing parade. 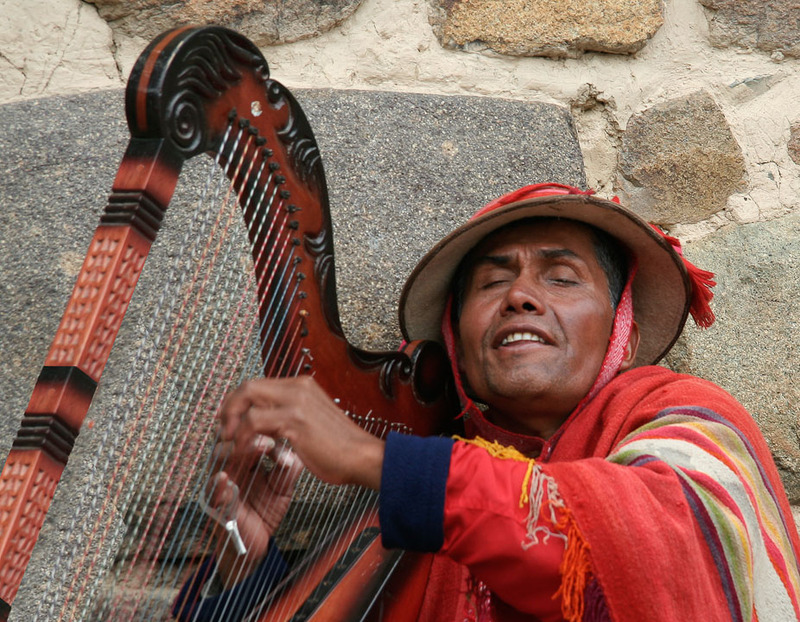 This blind harpist at the Sacred Valley plays music for the gods. 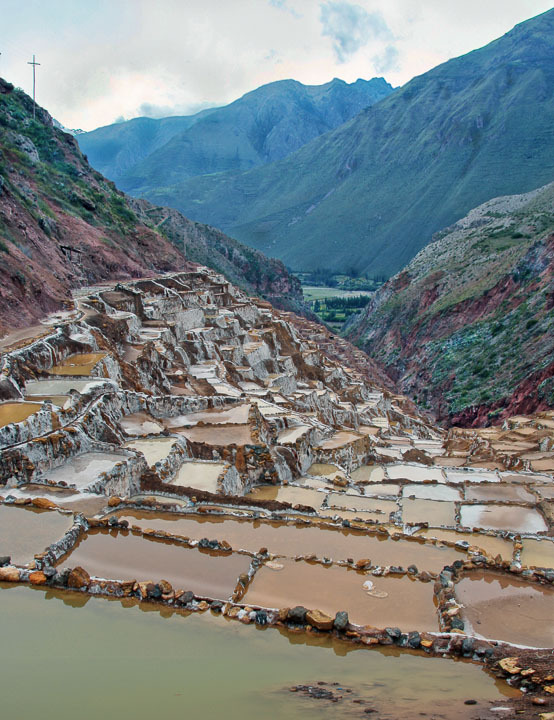 Salt water forms rectangular beds bringing to mind paintings of Paul Cezanne. 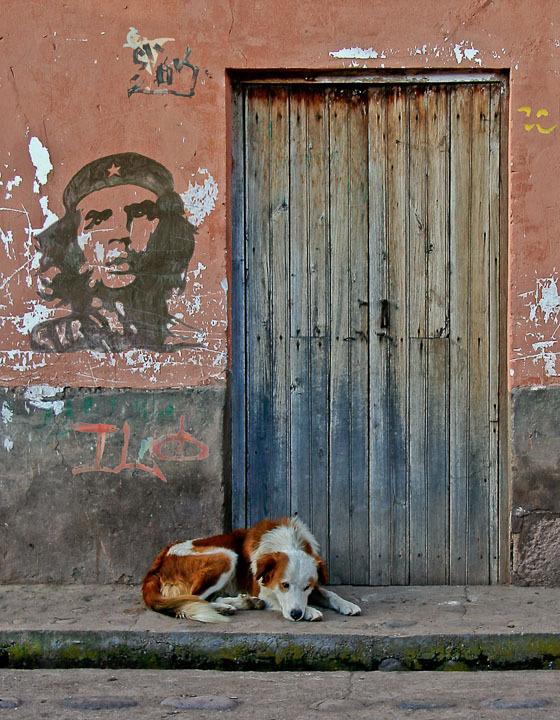 Many posters and grafitti portraits of Che were seen through out Peru. 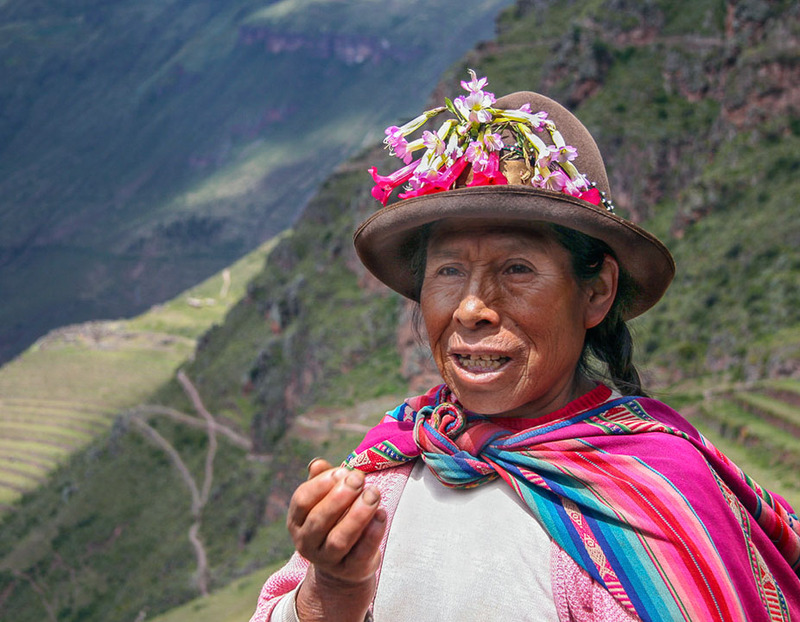 She sells souvenirs to tourists that venture to come high into the mountains. 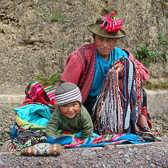 Market workers lacking child care often bring their young ones with them. 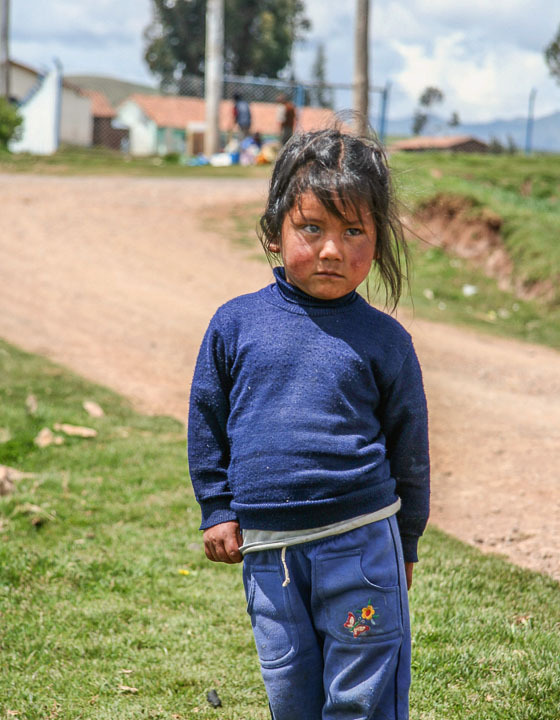 She lives an isolated life with her family on the farm and is wary of strangers. 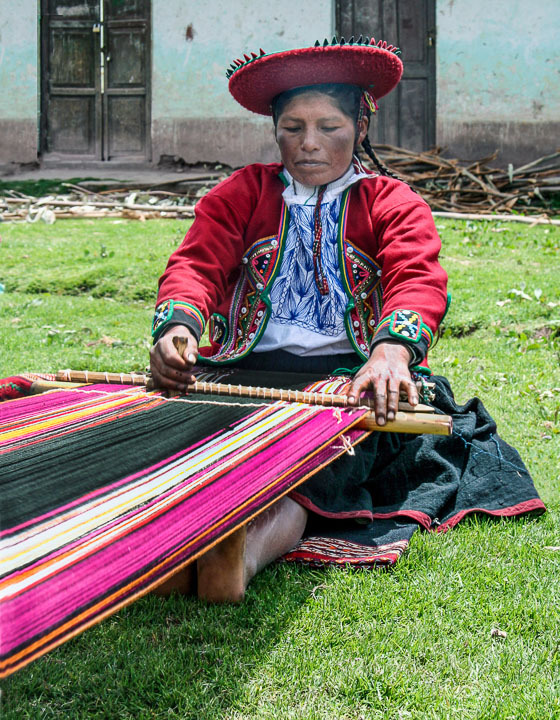 Most of her weavings are made to sell to tourists visiting her village near Cuzco. 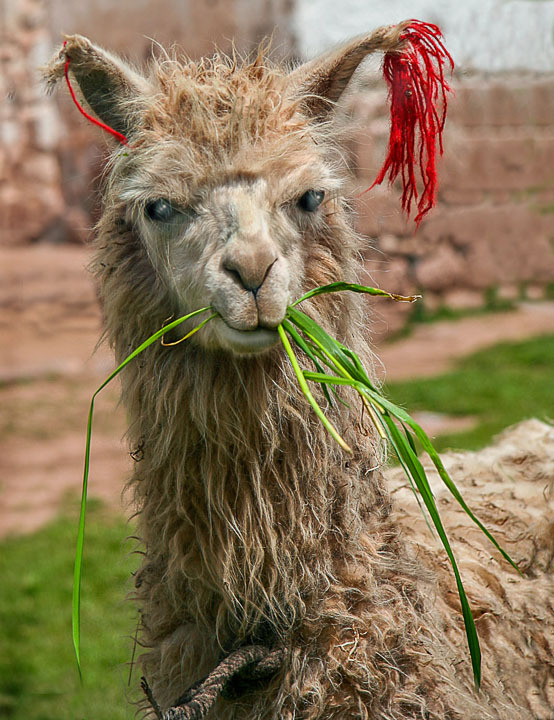 The llama seems quite happy and well fed at home in the mountains near Cuzco. 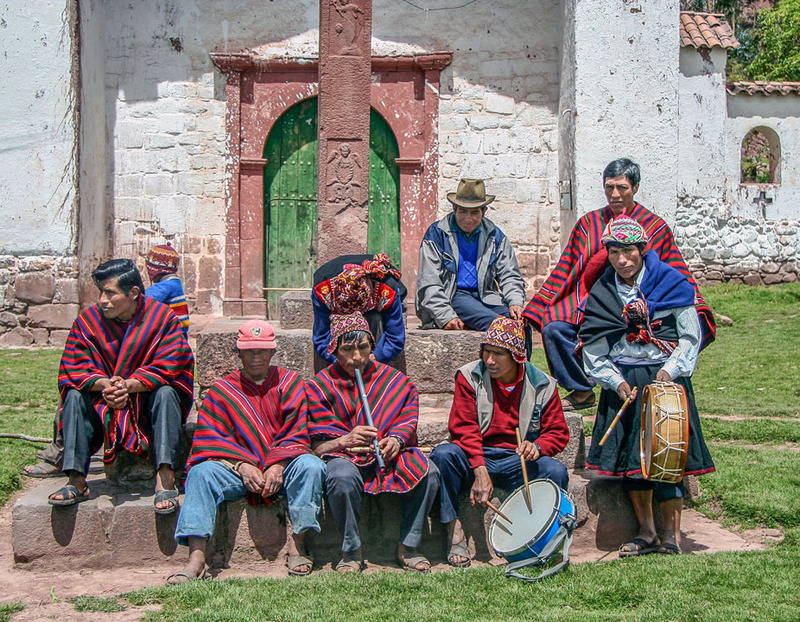 They are ready to perform for tourists who might venture into their village. 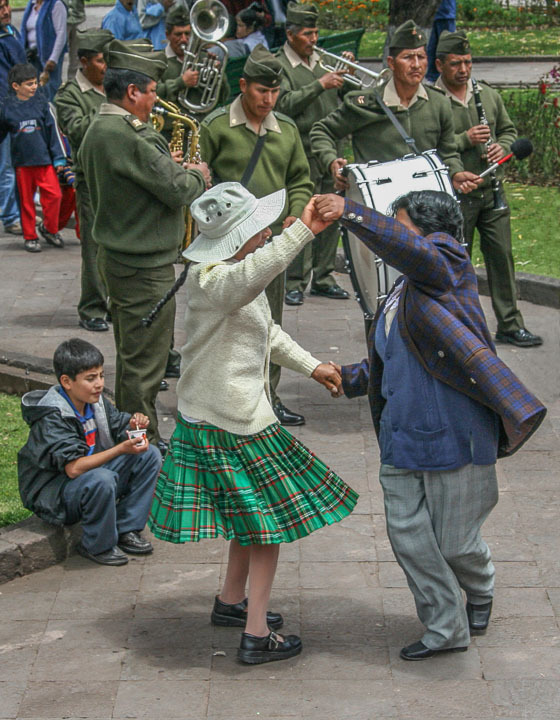 In Cuzco on Sundays the people flock to the town square for music, dancing, fun and food.